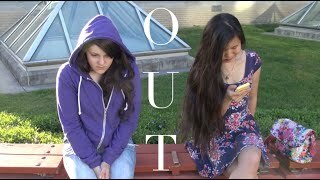 OUT (An LGBT Short Film) Chrissy is so gay she's about to explode out of the closet. Along the way maybe she'll even find the courage to talk to that most mesmerizing and terrifying of creatures: a cute girl. CREATOR'S NOTE: Wait, wait, there's been a misunderstanding! Several commenters have criticized that this film endorses common lesbian stereotypes, which was never my intention. I've responded to a few of these criticisms in the comments, but I wanted to clarify my message here too. There is no "right" way to be a lesbian (or a bi/pan/queer woman for that matter), and at the end of the day stereotypes don't mean anything at all. Chrissy is a lesbian who's just coming out, so she tries out all these stereotypes because stereotypes are all she really knows about being gay. As a bi woman, I went through much the same process as Chrissy does when I was first discovering myself; I overshot it with the short hair and the flannels and the rainbows because I thought that was the "proper" way to be openly queer. Over time, though, I realized that you can just be *you* - however butch or femme that happens to be - and still be an 110 percent valid queer woman. I hoped to represent that idea with Chrissy's love interest Lola, a super feminine girl who you'd never guess was gay at first glance but who is totally comfortable with her sexuality. Lola shows Chrissy that it doesn't matter how a lesbian presents herself. If you're a girl who likes girls, you're already part of the club. And it's a pretty awesome club. Just saying. “Kite Flying Rainbow Colors” (Stock Footage) courtesy of © All Rights Reserved Saracin. “Springish” by Gillicuddy (http://freemusicarchive.org/music/gillicuddy/) is licensed under ACC BY-NC 3.0 (http://creativecommons.org/licenses/by-nc/3.0/). “Ladybirds Theme” by David Szesztay (http://www.needledrop.co/wp/artists/david-szesztay/) is licensed under ACC BY-NC 3.0 (http://creativecommons.org/licenses/by-nc/3.0/). “Dirtbike Lovers” by Blue Dot Sessions (http://freemusicarchive.org/music/Blue_Dot_Sessions/) is licensed under CC BY-NC-ND 4.0 (http://creativecommons.org/licenses/by-nc-nd/4.0/). “Roads that burned our boots” by Jahzzar (http://freemusicarchive.org/music/Jahzzar/) is licensed under CC BY-SA 3.0 (http://creativecommons.org/licenses/by-sa/3.0/). “Ruckus 3” by Dave Depper (http://www.needledrop.co/artists/dave-depper) is licensed under CC BY-NC 3.0 (http://creativecommons.org/licenses/by-nc/3.0/). “Telecom” by Lee Rosevere (http://freemusicarchive.org/music/Lee_Rosevere/) is licensed under CC BY-NC 4.0 (http://creativecommons.org/licenses/by-nc/4.0/). “The Funky Hump” by Lee Rosevere (http://freemusicarchive.org/music/Lee_Rosevere/) is licensed under CC BY-NC 3.0 (http://creativecommons.org/licenses/by-nc/3.0/). “Rock 2” by Dave Depper (http://www.needledrop.co/artists/dave-depper/) is licensed under CC BY-NC 3.0 (http://creativecommons.org/licenses/by-nc/3.0/). “Up” by Dave Depper (http://www.needledrop.co/artists/dave-depper/) is licensed under CC BY-NC 3.0 (http://creativecommons.org/licenses/by-nc/3.0/). Special thanks to Professor Ralph Vituccio at Carnegie Mellon for his guidance and support. Thanks for watching! Any likes and comments are much appreciated! Female | A Student Short Film (2017) Love is Love is Love is Love. Don't forget to subscribe for more film coming up that you don't want to miss! What's your story? A Story of Our Own - LGBT Documentary Hey! My name is Geo and I created this documentary for my high school senior project. My documentary focuses on the opinions of high school students who are a part of the LGB (Lesbian, Gay, Bisexual) community. This video was made in order to try and help those who are struggling with coming to terms with their own sexuality. Thanks for watching! Special thanks to everyone who helped me with this video. I could not have done it without you guys and I'm very grateful. **I do not know anyone at my school who identifies with being Transgender and that is why 'T' students are not shown in this video. I have so much love and respect for people who are transgender and I'm sorry that I could not represent the trans community in this video. The LGBT Community: As Seen By High School Students | A Student Documentary This was something that I wanted to do for a while and I recently got motivated to make this when I need to make a project about modern inequalities in todays society. This shows what the typical high school student at my school thinks about the LGBT community. It was a lot of fun to make and I hope you all enjoy it. LGBT Students Speak Out About Name-Calling GLSEN's No Name-Calling Week is celebrated each January to encourage teachers of all grade levels to promote kindness, respect, and diversity in their classrooms. What will YOU do to celebrate kindness this No Name-Calling Week? 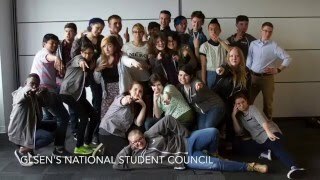 In this video, our GLSEN National Student Council speaks out about their experiences with name-calling in middle school and highlight the ways in which older students can support their younger peers. Video Produced by LGBT Youth at the Highland Youth Center | Create Now In August 2014, producer Rebecca Reese of MediaMavericks organized a workshop for LGBT kids at the Youth Center on Highland in Hollywood. Videographer Max Yoffe taught them how to shoot, Rick Gianelli taught editing, and Jonathan Winbush and his friend Freddy taught graphic design. Create Now Founder and Executive Director Jill Gurr taught the youth about screenplay format and how to write stories and promote their scripts. We have had to blur these youths' faces to protect their identities. Create Now is a 501 (c)(3) non-profit organization founded in 1996 that helps youth in need find their voices through arts mentoring and education. We serve abused, homeless, incarcerated and other challenged youth ages 2-21 through our therapeutic programs in music, writing, visual arts, digital media, fashion design, and performing arts. Each year, we also bring thousands of these "forgotten children" who have fallen through the cracks to concerts, plays and other cultural events at premiere venues in the region. We have reached 37,000 of the most troubled youth in Southern California during the last 20 years. 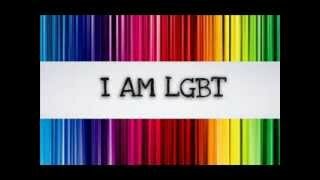 LGBT Inspirational Video Made for HDFS 470 at MSU. Music is the theme from "Once Upon a Time in America" composed by Ennio Morricone. 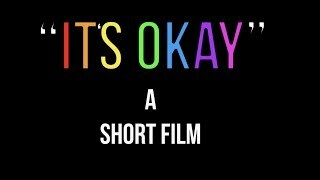 'Its Okay'- Short film (LGBT) My name is Jaden Glendon im 17 years of age and a Level 3 extended Media , art and design student. This is my final project i chose to do for my last year of college. This short film focuses on the trouble some people may encounter with accepting themselves for who they are, and that its okay to be themselves. This focuses on the acceptance of sexuality.